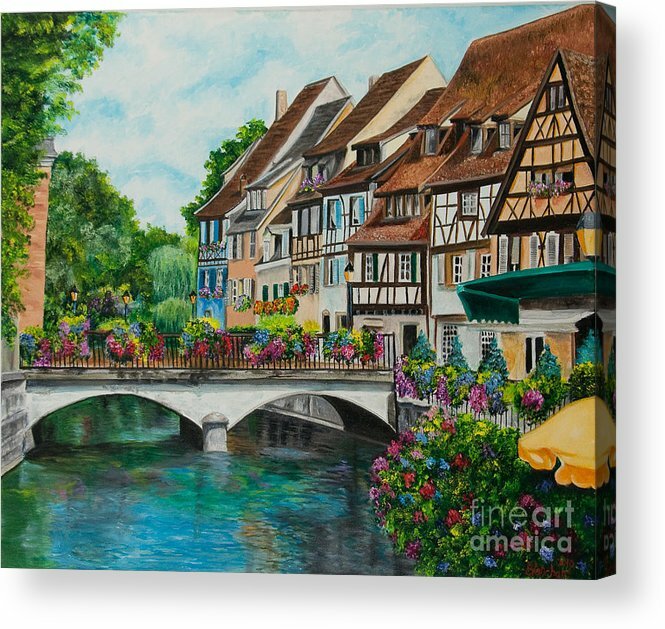 Colmar In Full Bloom by Charlotte Blanchard - 8.000" x 6.625"
Colmar In Full Bloom acrylic print by Charlotte Blanchard. Bring your artwork to life with the stylish lines and added depth of an acrylic print. Your image gets printed directly onto the back of a 1/4" thick sheet of clear acrylic. The high gloss of the acrylic sheet complements the rich colors of any image to produce stunning results. Two different mounting options are available, see below. Wonderful painting, Charlotte!!.. congrats on your sale! Colmar is one of those pretty, little villages in the Alsace Region of France. Both flowers and wine flow in great abundance here, for this is wine country. 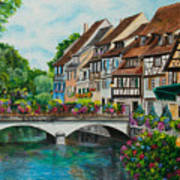 The French have a love affair with flowers which is very obvious here in this painting. 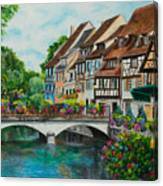 Such a gorgeous village warrants several more paintings in order to do it justice.